The Chinese Community Centre Lion Dance Troupe had the distinct pleasure in performing at the relocation opening of Protection Engineering Pty Ltd.
All the staff of Protection Engineering Pty Ltd were gathered outside of the premises where a speech was given in explaining the significance of the lion dance. Long firecrackers were then lit to begin the lion dance. The 2 lions put on a display of synchronised acrobatic movements before entering the building and blessing the new office and work shop. The lions then obtained the highly hung lettuce and then presented the Directors, Jo and Mirko, with a goodluck scroll in blessing the new premises. 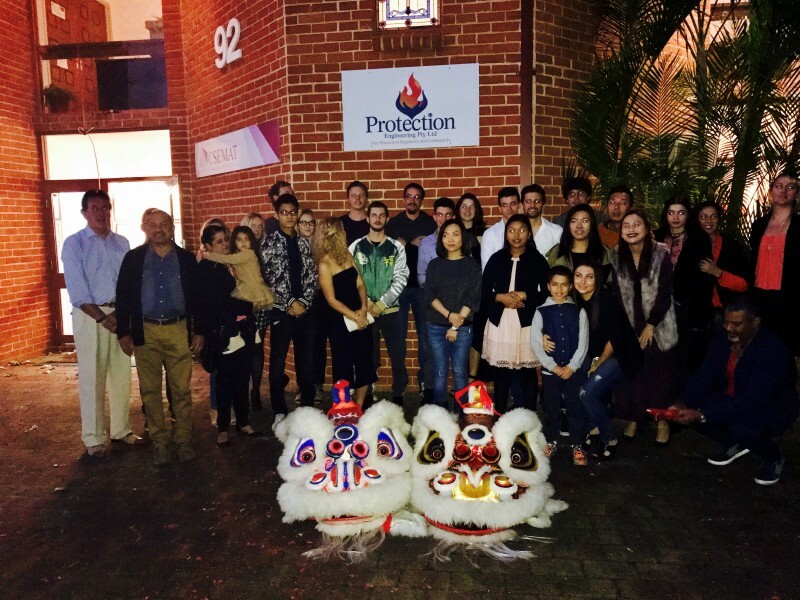 The Chinese Community Centre Lion Dance Troupe would like to wish Protection Engineering Pty Ltd all the best of success in their new location of business, as well as thank them for the continuing support of the troupe. 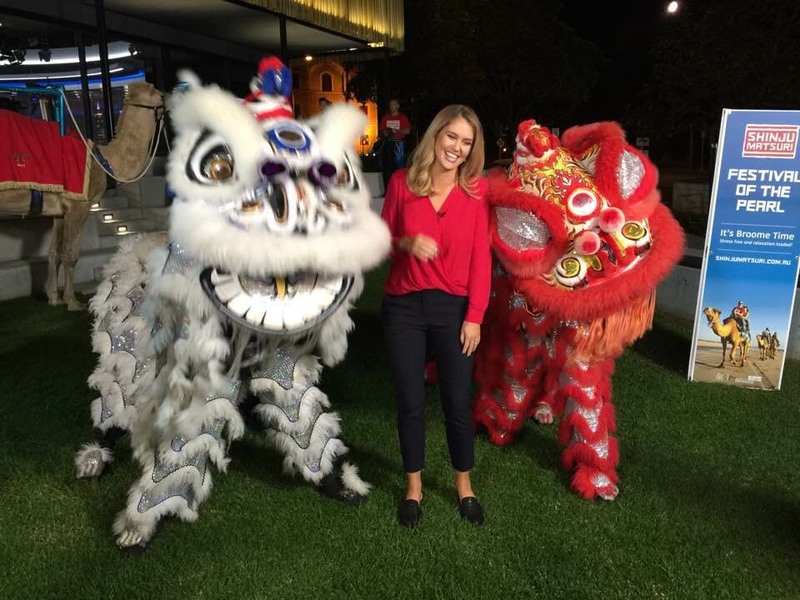 The Chinese Community Centre Lion Dance Troupe, as part of WA Day, continued their assistance in promoting the Shinju Matsuri , Festival of the Pearl. In part of this promotion, the lions were featured live during the Channel 9 news weather broadcast. During this broadcast, the lions created a festival atmosphere at the Channel 9 studios, togethor with its musical band and live camels. This was definitely a first unique experience of the troupe, and the whole troupe enjoyed the whole process. We would like to thank the crew at Shinju Matsuri and Channel 9 news for giving us this new fun experience. 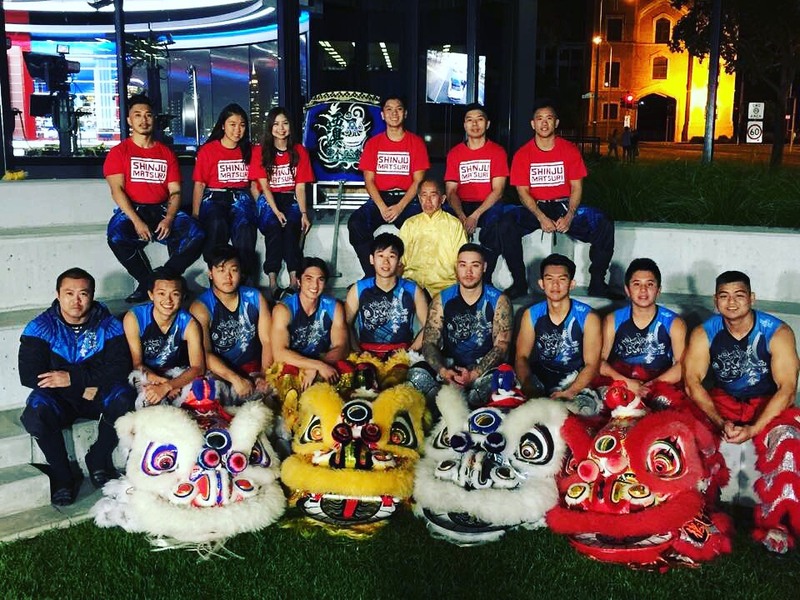 As part of WA Day celebrations, The Chinese Community Centre (CCC) Lion Dance Troupe participated in the WA Day Festival held at Elizabeth Quay. The Festival featured a large variety of acts, food stalls, craft stalls, and a number of activities for the family. 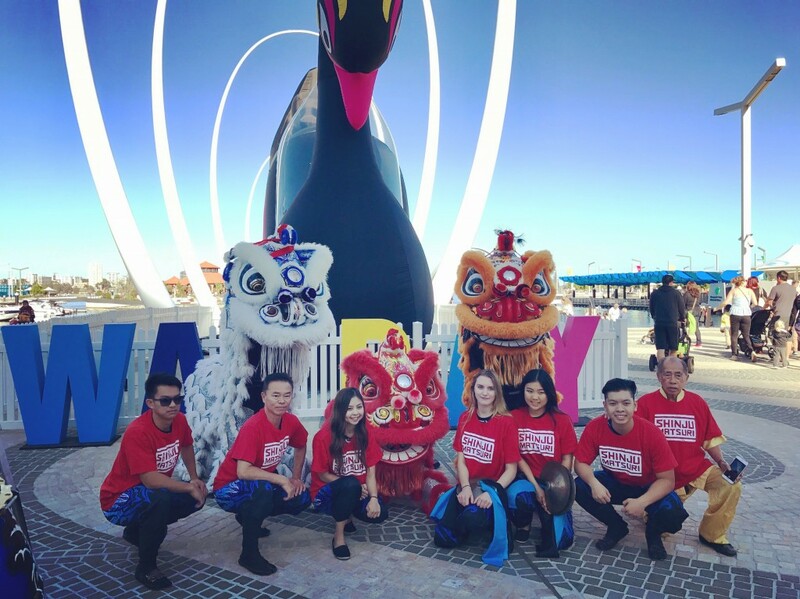 The CCC Lion Dance Troupe performed a number of performances throughout the day, which included roaming Elizabeth Quay and interacting with all the attendees and creating that festive feel. The troupe then took their act centre stage in the main tent where they put on a spectular display for the large crowd. The event overall was a great success with the Perth Public enjoying the festives and the beautiful weather. We would like to thank Shinju Matsuri and all the organisers for making this such a greatly planned event for us all.